The world's largest long-haul airline wants both employees and customers using smart glasses. Emirates Airlines, based in Dubai, revealed this week that the company sees smart glasses as a strategic initiative that should help them fend off discount airline rivals. Airlines succeed when they can treat passengers with a personal touch and top-notch customer service. For example, flight attendants can call passengers by name, provide personalized meals (that are, say, vegetarian or kosher), give extra attention to nervous fliers, provide added service for loyalty-card members or keep an eye on passengers with a history of disruptiveness. This kind of service is hard to provide because of the lack of readily accessible knowledge. Flight attendants wearing augmented reality smart glasses, however, could use face recognition that identifies a passenger, with a heads-up display (HUD) that shows the airlines' notes about each individual. The end result is that these employees will perform like they have incredibly actionable knowledge -- as if they recognize each passenger and "know" exactly what they need for optimal service. Emirate's initiative strongly hints at the the five surprising and important things you need to know about the coming world of smart glasses. The best-known smart glasses product is Google Glass. The false narrative around Glass is that Google tried to rush it into the market and that it was rejected by the public, and therefore failed. The truth is that Google's R&D lab launched a splashy and expensive public beta program, expressly to determine what this new technology could best be used for. They learned all they could, then transitioned the project out of the lab and into a division for developing glass as a product. The first Google Glass product is called Glass at Work. Google runs a Glass at Work developers program for the creation of enterprise applications for Glass. One of the biggest and earliest users of Google Glass in manufacturing is Boeing, whose workers use Glass for building airplanes. Specifically, Boeing airplane manufacturing involves a complex process of connecting all the wiring that controls a plane's many electrical systems. The process is massively knowledge intensive. Google Glass enables workers to function as if they've memorized all the complexities of connecting the wires. They behave as if they have perfect knowledge, and keep their hands free to do the work itself. Google Glass is also being used heavily in medicine, both for research and clinically. One inspiring project at Silicon Valley's Stanford University called the Autism Glass Project is using Google Glass to help children with autism form emotional bonds with people by helping them read facial cues and other forms of emotional communication. With "pilot" projects like Emirates to real manufacturing applications like Boeing to a world of smart glasses research, the Google Glass program has delivered an important platform and a huge body of knowledge for figuring out how smart glasses would work. The public can be forgiven for believing that the smart glasses industry is just a moribund category of wearable computing that itself has disappointed expectations. Instead, the industry has moved on to focus on more promising and exciting technologies, like augmented reality. 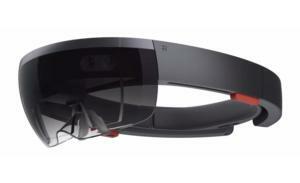 The more sophisticated understanding, however, is that augmented reality and smart glasses are the same thing. In other words, all the investment and progress in augmented reality is building a foundation for the coming smart glasses revolution. As Google demonstrated with Google Glass, the hardware part of smart glasses simply involves a camera, a way to control the interface (such as voice commands or touch screen) and some way to bend light into the wearer's eye. Such hardware is already available, but it's too big and clunky to be socially acceptable. However, it's getting better, smaller, lighter, offers longer battery life and is becoming more "wearable" all the time. The hardware is an industry-wide work in progress. More important than hardware is the creation of development platforms and the resulting interfaces and content for smart glasses -- augmented reality platforms and apps. Earlier this month, Apple unveiled something called ARKit, an augmented reality developers kit for the upcoming iOS 11 mobile operating system. In fact, the normally stoic and circumspect CEO of Apple, Tim Cook, told an interviewer this week that he's so excited about augmented reality that he wants to "yell out and scream." The ARKit idea is that developers can build apps for iPhones and iPads that use the camera for augmented reality. You look at the screen, and see what's on the other side of the device, plus whatever digital objects or information are to be inserted as augmented reality. Thousands of developers are expected to use ARKit, so we can look forward to thousands of apps. But augmented reality on a phone or tablet is clearly just a stopgap for development while smart glasses evolve sufficiently for widespread use. Apple is rumored to be working on smart glasses, a rumor that was extremely convincing even before Apple announced an all-out push into augmented reality. Once developers have used ARKit to build mobile apps, the distance to supporting smart glasses is very short. On such a platform, the "reality" part will be normal vision, with the "augmented" bits superimposed on what the user is actually looking at. In fact, it seems like every major technology industry is working on augmented reality platforms. Facebook, at its own developers conference recently, unveiled its platform for augmented reality. It's called the Facebook Camera Effects platform. And other major companies are not only working on augmented reality platforms, but have also announced smart glasses hardware itself. Microsoft, of course, is working on its highly anticipated HoloLens, which is available currently only to developers and mostly for enterprise applications. Former Android founder Andy Rubin is in the news because his unicorn startup, Essential, announced a new phone and virtual assistant appliance. Less well known is that Essential's got a patent for smart glasses. Rubin is a well-known fan of the Google Glass concept . And, of course, augmented reality smart glasses startups like Google-backed Magic Leap are getting major funding. So whether we're talking about the companies like Microsoft and Magic Leap that emphasize hardware, or companies like Apple and Facebook that emphasize augmented reality, they're all working toward the same goal: the mainstreaming of augmented reality smart glasses. Why would Emirates Airline go to the trouble of outfitting flight attendants with smart glasses? Why not give them tablets to look up the same information? The reason is that the effect of smart glasses will be completely different from every other user interface. It won't look or feel like people are "using" a computer. Let's say Emirates did roll out augmented reality tablets. One flight attendant wants to interact with the passenger in seat 2B. He goes and gets the tablet. He stands next to the passenger and holds up the tablet, which shows the passenger's name and some helpful personal information. This scenario is ridiculous and would never happen. Now let's do the smart glasses version. The passenger in seat 2B presses the call button. The flight attendant comes over, and instantly the passenger's name and other information appears overlaid on his glasses. He's able to respond in a customized fashion, recalling previous engagements on prior flights and reflecting the passenger's personal profile. The difference is that using augmented reality on a phone or tablet is like "using" a computer. Using augmented reality with smart glasses is like "prosthetic knowledge" â the information appears to the wearer in a way that simulates the occurrence of a thought or memory. It feels that way, too. I used a Google app called Word Lens on Google Glass while living in Italy three years ago. Word Lens is an early augmented reality app that translates the language of words. It's amazing because it keeps the translation in the same color and typeface as the original. As I wore Glass around Tuscany, the effect was not like "using" a translation app. It felt like I could read Italian. And it was an amazing feeling. Consumer use is coming. But the real impact will be in the enterprise. Entire industries from manufacturing to transportation to healthcare and many others are already leading the way. In fact, it's hard to think of any industry or profession that won't benefit from this kind of prosthetic knowledge. While autonomous cars and trucks will be the top most transformative tech, augmented reality smart glasses -- and the prosthetic knowledge they provide -- will deliver a boost to any industry where knowledge is a competitive factor. Augmented reality smart glasses will enable companies to bolster training and knowledge programmatically, by which I mean they'll be able to upgrade the "knowledge" of tens of thousands of workers using a five-minute update in a database. The net effect of this knowledge upgrade for the entire enterprise workforce will be comparable to the PC and mobile computing transformation of the past 50 years. So as you read about augmented reality over the next few years, understand where it's going: straight into smart glasses to power enterprise applications that will transform the world.